Tea District is committed to fostering the world's best premium teas bestowing a fascinating customer experience to ensure a loyalty to our brand and provide growth from its quality and knowledge of tea. 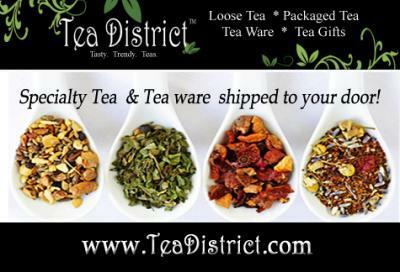 Tea District carries a full line of High quality teas, including a line dedicated to charities & global causes. Be sure to also check out Tea District's unique tea gifts and their tea of the month club. I can't think of anyone who doesn't enjoy really good tea. With the discount, this would make a really great Christmas gift. Thanks for sharing! I just got a French Press and these would be good to make in it.